3/4 HP, 115V SUBMERSIBLE TRASH PUMP: 115 Volt operation allows the pump to be plugged into a standard outlet. (GFCI is recommended). SOLIDS HANDLING UP TO 23/8 IN. : Move slurry and dirty liquids without the worry of damaging the pump. 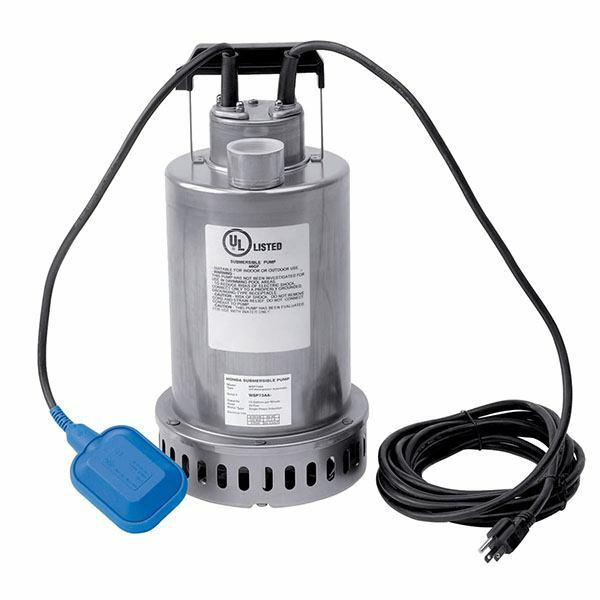 LIGHTWEIGHT, DURABLE STAINLESS STEEL CASING: The pump won’t rust or corrode, minimizing costly repairs and replacement. The 304 stainless steel is an industrial grade, again minimizing damage and reducing the need for repairs.